Blackberry Messenger, popularly known as BBM instant messaging services on smartphones is now officially available for Android and iOS users for free. 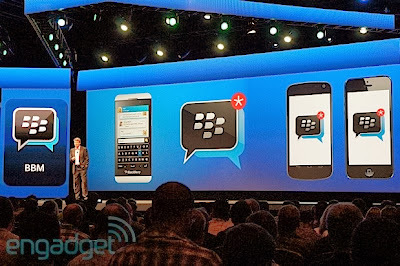 BBM™ trademark of Blackberry Limited happened to be the most friendly and famous way to connect and share instant messages, pictures, videos and more for free, in real time on mobile phone at respective apps stores of Android and Apple with over 20 million users downloads since official release. Tap the your BBM name or picture in the top bar of the BBM screen. Tap the Show Barcode icon in the bottom bar of the screen, then you BBM PIN will be displayed under QR code image...That's it!